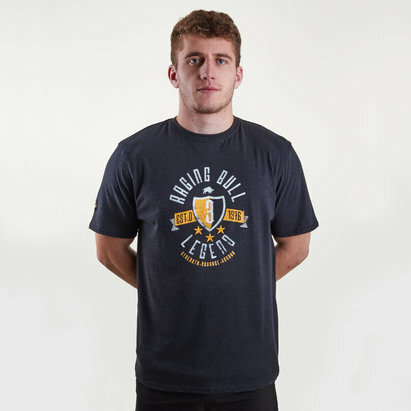 Look and feel your best no matter if you're training, out and about or at the Paris La Defense Arena in this Racing 92 18/19 Players Rugby Training T-Shirt from Le Coq Sportif. Top 14 league's Racing 92 have a new kit and training range thanks to their partnership with French sportswear brand Le Coq Sportif. This t-shirt is soft and made for comfort in 100% polyester. It is Blue 92 in colour with navy detailing at the bottom under the arms. The LCS logo is on the right with the Racing 92 badge on the left.